Monday, 2/29: Lead your group for the glory of God (1 Cor. 10:31). Everything else will flow from that. 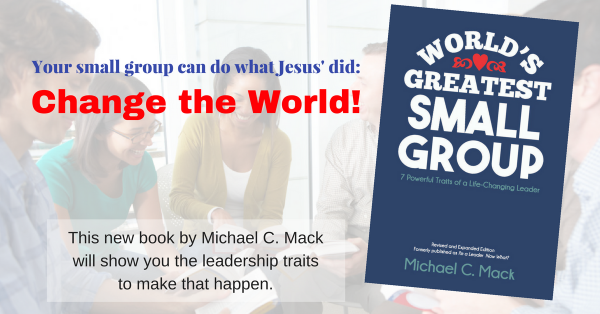 Tuesday, 3/1: The Greatest Commandment is a command 4 your grp. How are you loving your neighbors as Jesus defined them? Wednesday, 3/2: The Great Commission is your group’s commission. So pray, discuss, & plan. Then …GO! Thursday, 3/3: Spend time with Jesus and allow him to saturate your mind and heart with his love and wisdom.